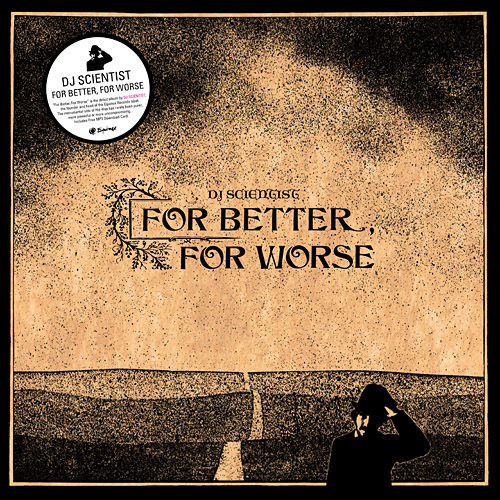 DJ Scientist "For Better, For Worse"
In 2012 Scientist began to revisit the body of work that made up “For Better, For Worse” and finalised the tracks from the vast archive of finished and unfinished songs. In April he released “The Artless Cuckoo EP" which featured additional tracks from the same early production period that makes up the bulk of the album. The EP introduced the album, catching the attention of fans who had been waiting for quite some time. Starting his DJ-career in 1995 and releasing several mixtapes to spread his name in his home town of Munich, he put out his first record in 2001 – a dj tool called “Mad Science Breaks”. One year later, the dark and melancholic “Misantropolis EP”, mainly produced by Scientist, was the first release on Audiac. Since then, he put his main effort into his label Equinox which now has its headquarters in Berlin. In 2004 he produced 3 tracks for the critically acclaimed “Welcome to the Neo Golden Age – A Sound Exposure Vol.1” compilation. Being part of the Equinox 10inch Series, his 4 track “Journey Goodbye EP” (2006) contained the outstanding “Atarius” as well as the soulful and bluesy “Autumn Leaves”. Since late 2007, DJ Scientist has mainly been producing and recording music with rapper/multi-instrumentalist/singer Ceschi Ramos (of Fake Four Inc.). 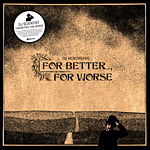 Releases so far are the singles “Same Old Love Song” (2009, with 2Mex, Awol One & Myka Nyne) and “Count On It / Bad Jokes” (2008) as well as the first album with Ceschi, “The One Man Band Broke Up”, released in june 2010. In the same year, an instrumental version of the album with Ceschi was released under the name “The One Man Band Instrumentals”, which became his first full-length solo work. In 2011, Ceschi and Scientist released another EP called “Shorted Circuits” and continued working on their second album. With his “The Artless Cuckoo EP”, that dropped in early 2012, DJ Scientist put focus on his solo works again and will drop his new album in October 2012. Apart from his production work, DJ Scientist has performed and shared stages with artists such as Sage Francis, The Pharcyde, Noah23, M.I.A., DJ Faust & DJ Shortee, Sole & The Skyrider Band, Egyptian Lover, Marc Hype & Jim Dunloop, DiViNCi, Boca45, Thesis Sahib, Mirko Machine, Busy Bee, and has toured Europe four times. As an executive producer and project coordinator he has been involved in releases by artists such as 2econd Class Citizen, David Vangel, Kraddy, and many others. He furthermore wrote articles for magazines such as Waxpoetics and Backspin. His “Godly Grooves” mix series with DJ Arok, that contained completely unknown German Xian Funk and Rare Groove tracks from the late 60s and 70s, made a lot of noise in the German speaking territory and received great reviews. Scientist is also working as a graphic artists under the Raincoatman pseudonym and has provided outstanding artworks for Equinox Records and other music related projects.